Toul Preah Reach Chea Pagoda is a famous pagoda among others in Kandal province where most of older people know it well. Now you can visit it virtually by just clicking the arrow to where you want to visit. What the interesting point to visit? The pagoda fulls of two main big and tall Buddha's statue, and silent and nice view surrounding by temples. 1. From Phnom Penh, you can go along the National Road No. 21 and when arriving near Samphan pagoda (see the map), you have to cross the Bassac River to National Road No. 21B by Samphan ferry then turn right by spending few minutes then you can reach it. 2. Starting from Phnom Penh too, you can go there by crossing Preah Monivong Bridge then turn right nearby and drive the following road straingly - about 74km from Wat Phnom to there, and it spends about 2 hours if you decide to go by the road. Personally, I suggest you to choose the first option. 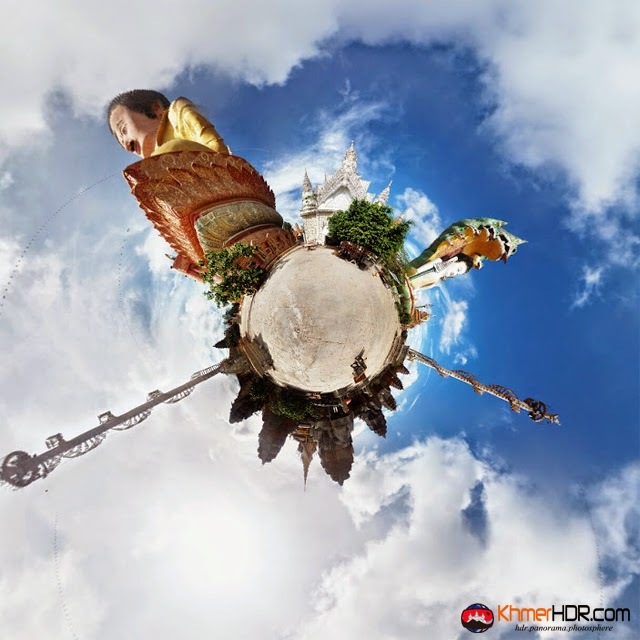 Enjoy your exploring thru this 360-degree view!